Part pompous parade, part intricate lecture, part stand-off. Come and witness a 18-strong line of men sing about what it takes to build a man. From concrete to power tools, recipes to beards and perhaps back to tools again. With humour mixed with poignancy, subtle theatre, and some fine strong harmonies, it's time to extend your expectations of a male choir. Ancient Georgian folksongs, curious Stephen Taberner originals and their unexpected versions of well-known favourites are all found in the repertoire. 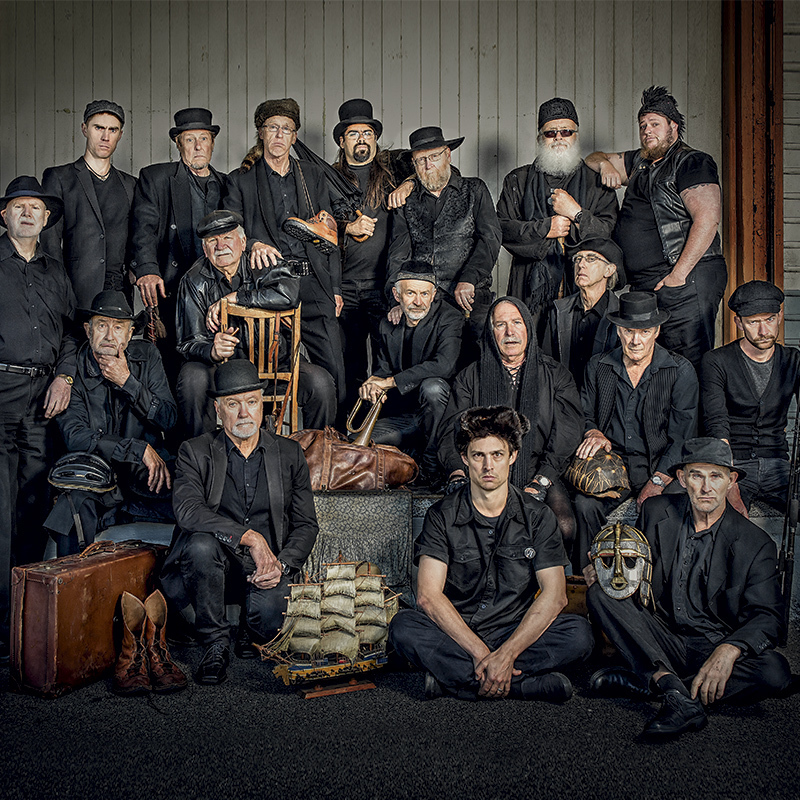 Festival favourites in WA for more than a decade, and after two successful seasons at FRINGE WORLD 2016 and 2017, the Men are back to entertain you, black and be-hatted, with a new manbag full of goodies. The Men of the West have been refining their subtle theatre of pointless grandeur over the past decade, being regulars at the Fairbridge Festival and the Dunsborough Songfest. They picked up a "Highly Commended Award" at the Adelaide Fringe in 2014, and had successful seasons at Perth FRINGE WORLD 2016 & 2017. The Men will charm, amuse and confound you, as they deliver a variety of a cappella songs ranging from the haunting beauty of ancient Georgian harmonies to original songs of the quotidian rituals and trials of being a man in today’s world. 'Gentle and sad, even sweet, but also powerful and unmistakably male'.